Whether you’re a curvaceous hourglass, voluptuous v-shape, radiant rectangle or pretty pear shape, Curvissa can help you find the perfect outfit from their great range of plus size fashion. Their collection includes clothes to suit a variety of occasions, including formal wear, party dresses, a holiday shop, everyday wear, and clothes for the office. Looking great and feeling comfortable in your clothes begins with dressing to suit your figure and, learning how to highlight your best bits and downplay areas you’re not so keen on, needn’t be a fine art. 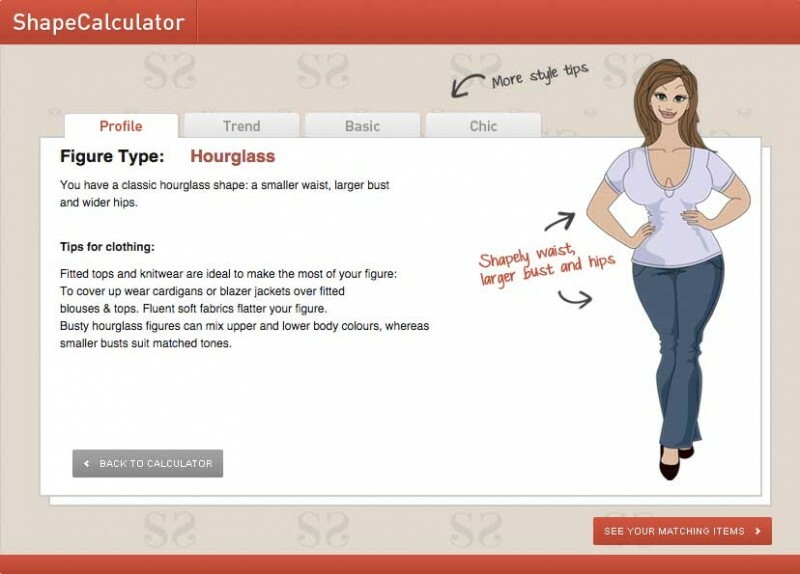 With a wealth of fashion advice at your fingertips, now everyone can be their own personal stylist. So, once you’ve embraced your body shape and learnt how to flatter your figure, it’s time to get dressed to the nines in a fabulously flattering frock, or feel body beautiful in casual jeans and a tee. It takes just a few clicks to see which figure type you fall into. Once we have your shape we'll give you some great styling tips to help you dress to flatter your figure, making the most of your best bits. You can then see items in the Curvissa range which will help create your perfect look. Go to the SHAPE CALCULATOR now and find my shape! Having fun playing with the shape of my ideal woman !